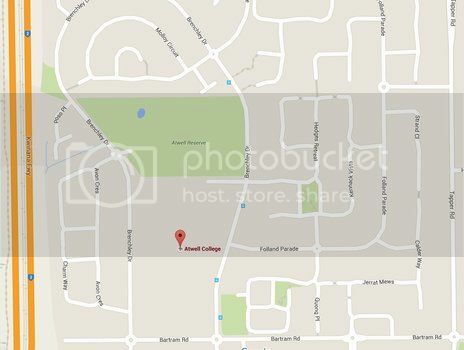 February 7th Meeting - PCS Auction. 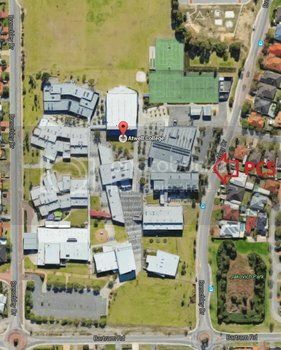 The next meeting of the Perth Cichlid Society will be an auction night on Tuesday, February 7th. We will have another Fish of the Month. This month's FoTM is Exochromis anagenys and Lichnochromis acuticeps. We will have a bag of each fish to discuss and auction off, with proceeds to Stuart Grant Fund for Cichlid Preservation. Learn about the fish and then take some home. 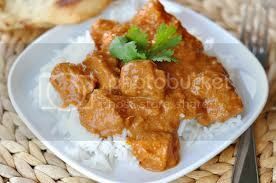 In the PCS Kitchen we will have awesome bowls of curry and rice for you to buy. 2 different kinds to choose from. We will also have hot and cold drinks and snacks. Don't forget 20% of kitchen purchases goes towards the Cichlid Preservation Fund. 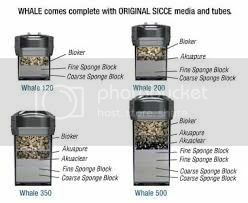 Sicce Whale 500 - Special Edition - External Canister Filter 1300lph, 18W, (300-500L Aquarium). 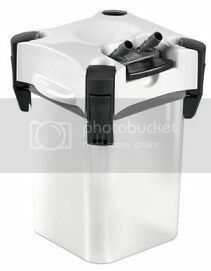 Focus On: Unique and practical concept of self-priming system; Flow regulation directly on the tubing; Ready to use and easy set-up: complete with accessories and high quality filter media included; Several capacious floating baskets for biological, mechanical and chemical filter media; SICCE Energy Effecient Technology (powered by SYNCRA SILENT motors): lowest consumption for greatest filtration performances. All are welcome. Hope to see you there Tuesday, February 7th. Lots in RED are kindly donated to the Stuart Grant Fund - Cichlid Preservation program. All proceeds of those lots will go to SGF, so please bid generously. 1 x Tanganyika Magazyn - Special Tropheus Edition 2016. 1 x PCS Club Merchandise Pack. 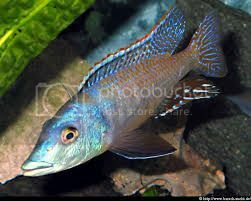 4 x Pseudotropheus elongatus "Mphanga" 4cm. 5 x Melanochromis cyaneorhabdos (Maingano) 5cm. 5 x Pundamilia nyererie "Makobe" 4-5cm. 5 x Aulonocara jacobfreibergi cape mclear 5cm. 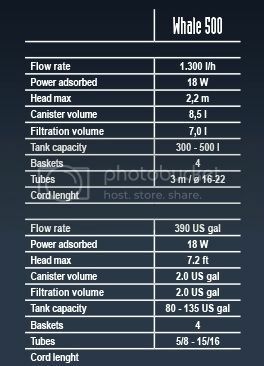 1 x SunSun AC0-001 High Pressure Electro-magnetic air pump 20L/m (New in box). 1 x Anubius nana attached to rock. 1 x Anubius nana attached to rock..
1 x Java Fern attached to driftwood 24cm x 7cm. 1x Aponogeton ulvaceous 30-40 cms. 1x Utricularia graminiflora 6 x 6 cm mat. 1x Microsorum pteropus crested Java fern grown on iwagumi rock. 24 cm tall. Time to send me some lots! Stay tuned for the updated list! Get those auction lots in to Mattia guys. Don't miss out! Less than 30 spots left, dont miss out!! Nice fish there Mattia, do any of them have a reserve? I never know what these fancy rocks are. Edited by Delapool, 18 January 2017 - 10:43 PM. Alright guys, list is up to date!! Kathy (humbug) and Andrew from Labyrinth aquarium... they are sending some fish over from Sydney for FREE just to support our Cichlid preservation fund!!! Also, winners of the Photocomp and Aquascaping competition will be announced! We have some very cool stuff this time and we hope to raise over 1k and hopefully beat last auction's record of $1021 raised for the fund! There will also be some cans of Nutrafin cichlid pellets for sale, which $$$ will be fully donated to the fund! Thank you ANDREW for the kind donation! Stay tuned for last updates! Edited by humbug, 22 January 2017 - 09:05 AM. 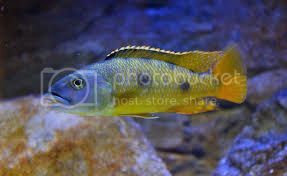 The Chalinochromis ndobhoi breeding pair that I have donated for the auction have fry. The breeding colony of petricola and the 3 juveniles have been withdrawn from the auction. The adults have sold and 2 of the juveniles were eaten by a driftwood catfish, I have replaced them in the auction with 2 bags of adult angels. No other fish ear marked for the auction will be sold before hand, my apologies to anybody who was keen on bidding for them. The Committee were notified on the 26th. 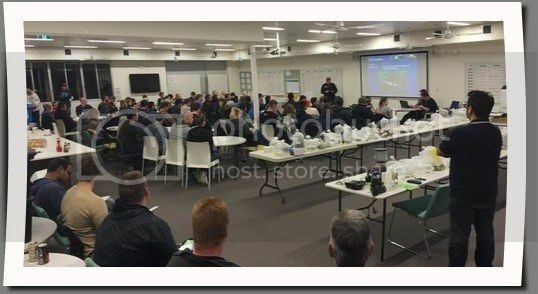 Is there a PDF list of Auction lots available for download? Or can someone from the committee make a few spare lists available (same as previous auctions)?